Freezing parsley is a great way to preserve the often abundant harvest one can get from this biennial herb. Luckily, it's also very easy to freeze parsley and harness its wonderfully herbal-yet-earthy flavor to use once the harvest is complete. Note that neither of these methods will save the distinctive texture of parsley leaves—so fill up on parsley salads such as tabouli or use whole leaves as a garnish on soups or stews while you still have the fresh stuff on hand. No matter which method you use, you'll want to start with supremely clean and dry parsley, since water on the leaves will create damaging ice crystals. Rinse the parsley with cool water and pat dry, or even give the stems a whirl in a salad spinner before freezing it. Simply double-bag the parsley, pushing out as much air from the bags as possible, and pop it in the freezer. You can just pop entire stems into the bags; there's no need to take the leaves off yet. When you're ready to use the parsley, snap off the leaves when you want to use them. Even though these are frozen still in leaf form, frozen parsley is best used in things where its appearance is not of paramount importance; that is, it works better in dishes, such as making gremolata or sauce gribiche, or tossing with mashed potatoes, rather than being used as a garnish. Whirl the parsley leaves (picked from the stems) in a blender or food processor with enough water or olive oil to make a thick puree (use a spatula to scrape down the sides as needed to make an even purée). Freeze this in small covered containers or in a clean ice cube tray. Once frozen through, transfer the parsley cubes to a sealable plastic bag for long-term storage. When you're ready to use the parsley, plop a parsley cube directly into soups or stews for a burst of fresh herbiness as the mood strikes you. Try stirring it into lentil soup or chicken artichoke stew for a dish-completing touch. Let sit in a dish and defrost and then use as a garnish or drizzle over roasted chicken or broiled fish. It also works nicely to add to the broth if you're making steamed mussels. These methods work with either type of parsley, but flat-leaf parsley, which is also known as Italian parsley, has more flavor and a better, less mouth-cutting texture, which should be reason enough. But it's also easier to clean free of grit and dirt that can get on things as they grow outside, is easier to store without crushing, is easier to chop up or mince, and it's easier to separate the leaves from the stem. It's just a better parsley. 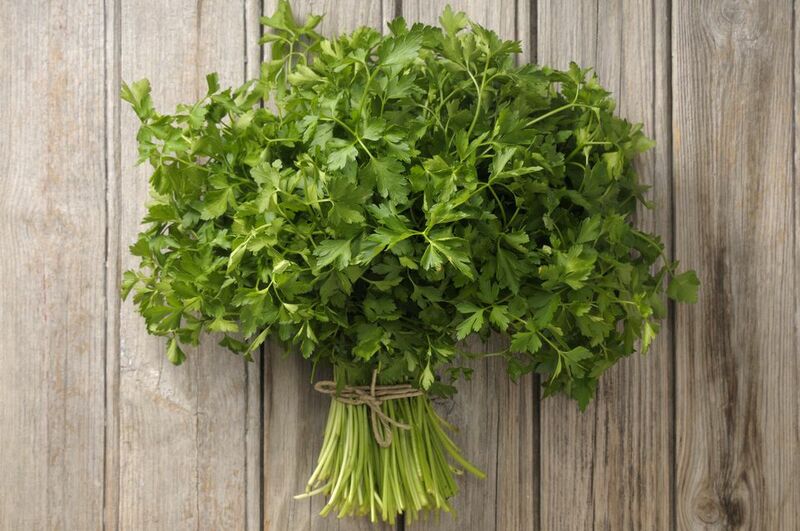 When you have the choice, consider the flat-leaf variety for a better parsley experience!